Debate over the United Kingdom’s plans to severely limit the betting cap on fixed-odds betting terminals, often called FOBTs (fob-tees), has reheated after proponents of the yet-to-be-implemented £2 cap claim the date of said implementation has been pushed back at the request of industry lobbyists. Among the timbers being tosses onto the newly restoked fire is the resignation of Parliament member Tracey Crouch from her role as sports minister, or more technically the Under Secretary for Sport and Civil Society. UK anti-gambling bastion The Guardian has pushed the recent FOBT happenings with its usual bombastic fervor in recent days, reporting that MP Crouch’s resignation was due to the failure of culture secretary Jeremy Wright to adhere to a “verbal promise” to accelerate the implementation of the restrictive £2 FOBT cap from April of 2020 to April of 2019. Instead, Wright has settled on a compromise date of October 2019 for significantly reduced betting limits to go into effect. The compromise led to MP Crouch issuing her letter of resignation from her sports minister role to Prime Minister Theresa May, while MP Wright has been accused of caving to industry lobbyists. That led to shadow culture secretary (the rough equivalent of minority-party committee leader for our US readers) Tom Watson, another of the FOBT crackdown movement’s leaders, to declare that Wright had made “a betrayal of the promise made by his two predecessors”, according to UK reports. “In capitulating to the gambling industry, the secretary of state has not just let the victims of gambling down, he’s let his own team down, and ultimately, he’s let himself down,” Watson added. Wright countered that the original planned date for the change was April of 2020, not April of 2019, so no “delay” actually had been introduced, though that had already been understood from earlier reports and was of no consolation to the accelerated-implementation proponents. While the compromise date of October 2019 was certainly reached after pressure from industry lobbyists, it’s not all on the industry here. It’s true, as the anti-gambling forces have noted, that the extra six months from the “delay” will translate into an extra £900 million or thereabouts from lightly-capped FOBT play. And there’s also no doubt that a few percent of that total will come as a result of addictive gambling behavior; research has shown the betting terminals to be among gambling’s most addictive forms. 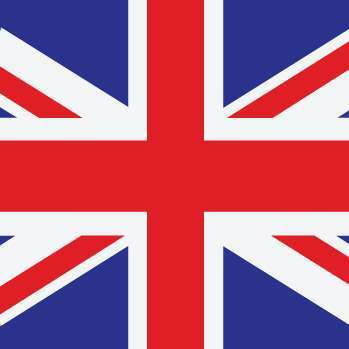 However, it’s also worth noting that the UK will also suffer a corresponding loss in tax revenue due directly to the cutback, and that’s been built into the lengthy transition period as well. The United Kingdom plans on making up the lost tax revenue largely through rate increases on other forms of gambling, but the country is trying to make the transition from point A to point B somewhat more seamless. 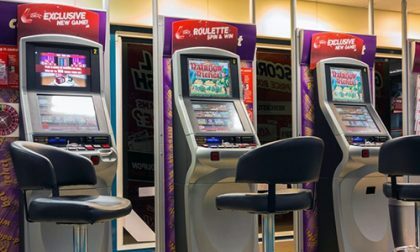 Yet each such shift invariably has its bumps, and the reality that FOBT-device dependency will cause the closure of hundreds of betting shops and loss of thousands of jobs complicates the debate, despite the social consequences of addictive gambling. In an online op-ed for The Guardian‘s online offshoot, The Observer, Rt. Rev. Dr. Alan Smith, the bishop of St. Albans, recently offered an impassioned argument against any delay, detailing and personalizing the social costs of such gambling. Yet as with most such appeals and damnations, Dr. Smith ignores what is at least the partial responsibility of the gamblers themselves to have gambled responsibly. Even if the FOBT crackback is a good thing — and it likely is — few such debates are so absolute in nature. The FOBT debate indeed rages on. It now looks like October of 2019 will be the official, final implementation date for the £2 FOBT cap. Yet what a vitriolic struggle all this continues to be.